Eat To Compete – personalized sports nutrition for athletes! I work with cyclists, triathletes, runners, ultra-distance athletes and team sport athletes. 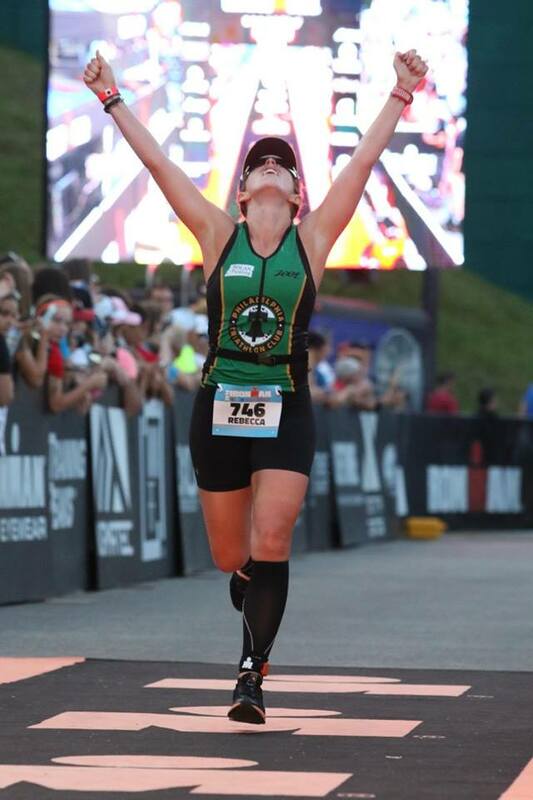 “Joanna helped me with all my race day nutrition issues for Ironman Lake Placid. I customize a program that works for you based on your specific needs. I help you identify the root of the problem so we can correct it so you can be back in the game quickly without GI distress, dehydration, pain or fatigue. Balance blood sugar and improve meal timing. Overcome GI issues, pain and fatigue. Become the master of your own body! Burn fat not sugar to gain increase vitality and performance. Eat more “clean” foods and less processed foods to compliment your training. Race your best with optimized nutrition! Metabolic Efficiency™ – Burn fat thru balanced nutrition for sport and play. “I followed Coach Joanna’s plan to perfection. NOTE: All plans can include gluten free, anti-inflammatory and/or blood sugar management suggestions. Call to find out which is right for you! "I had my knee scoped. Started with Inflavonoid IC and SPM Active supplements as you suggested. I felt a difference right away and I feel amazing!" I [worked with Joanna] on three separate occasions on dialing in my race day nutrition. She helped me out tremendously. 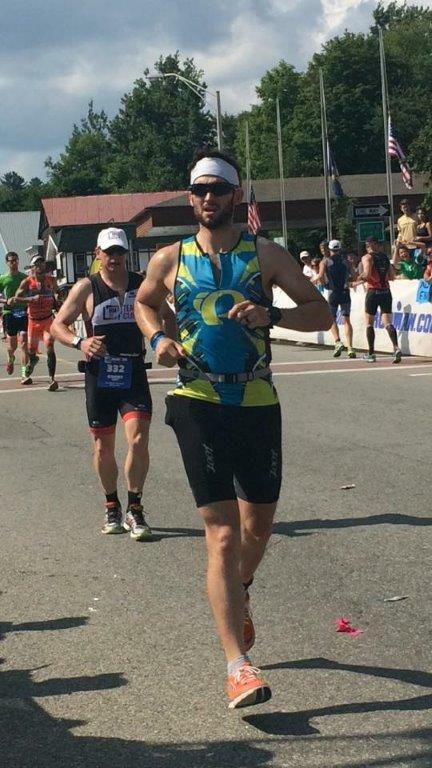 Gave me a game plan for electrolyte supplementation during the race as well as some ideas on how to break up my nutrition during the bike and run, even more so than I did during my [Ironman Lake Placid} training. She gave me 2 pieces of advice that stuck with me during the race and helped me out. I had a back up plan in the event solid nutrition did not work for me that day (which it ended up not working) and to nix it if something went wrong. She also suggested using coke on the second half of the run. Lastly, she had suggested to keep extra electrolytes with me in the event I needed them. If you think you may need some suggestions on nutrition or want to dial in a race day plan, give her a shout. She helped me and all my issues and gave me peace of mind when things didn't go as planned. She was a big help and extremely knowledgeable. Her plan is geared towards my goals! "The diet that has worked best for me and my personal goals is this one. I stay lean, feel great and get an excellent variety of quality foods. Call Joanna Chodorowska ..[her plan] is geared towards my personal goals. ... Call her she's great! "Before I met you, I was struggling - my stomach hurt...like all the time. Now I am more aware of what makes my stomach hurt. I learned so much from you and am now in a better place! I am so glad I found Joanna! I've always struggled controlling my weight and never really knew how to approach the problem. I stopped racing for triathlons about 3 years ago, and in those 3 years I've gained a lot of weight. I am back in training, and even with all the hours I put in, I was not able to lose any. That's when I decided to seek for help and that's when I found Joanna. What I really liked about her was that she is an athlete, so she understands the difference between working out and training, and racing for fun or competing. She will help you understand where the issues are in your eating habits. I had the bad habit of not eating at the right times, not the right portions and quality of food. I thought I was pretty healthy, but she has made me realize all the wrong things I've been doing for years! Working with Joanna has been an eye opener experience. I am now very conscious about my eating habits and it's helped me a lot. I have lost weight, I feel stronger during my training and I feel healthier overall. 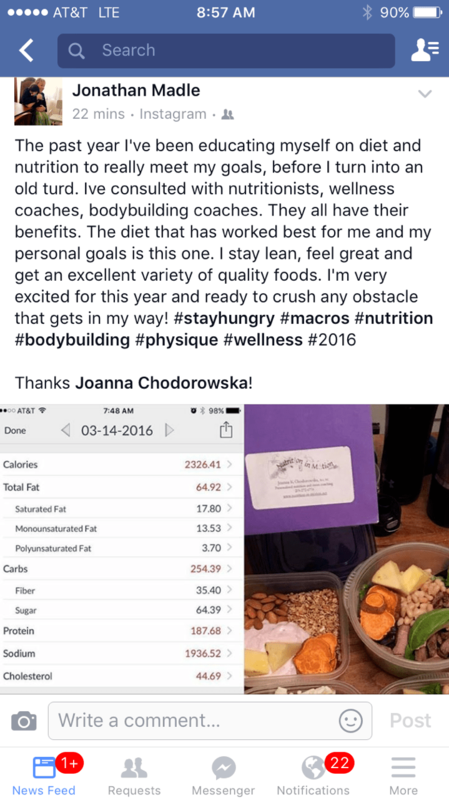 I highly recommend Joanna, I have not found such a great nutrition coach like her. I also encourage you to get the package deals she's got. It's totally worth it. The run was difficult but was well hydrated, used my Endurolyte and took ice and cold water dumps every chance I could. I walked a few times but overall, I am very happy! Thank you so much Joanna for helping me! [My losing weight] was by eating the RIGHT amount of the RIGHT foods at the RIGHT times. I highly recommend everyone visit Joanna - she has the tools/technology/skills to help you create a meal plan, monitor progress, adjust accordingly, supplement appropriately, and help ensure you’re not just losing weight but losing the right weight (e.g., lose fat, not muscle – harder than it sounds). 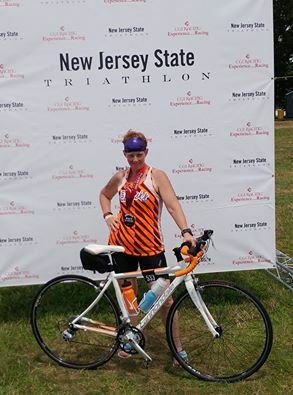 "My first podium finish and I cut my time from last year by almost 4 minutes. This is definitely attributed to better nutrition training! Thank you!" "A first for me was completing the HIM distance this season, twice. I hired Joanna to help me with my nutrition plan and education. My nutrition for both events was spot on, I felt great during both events. Could not be happier with the nutrition results. .. I highly recommend Joanna services for anyone looking for a great endurance nutritionist. To boot she is a class individual as well. but seriously, i had my best swim ever and felt GREAT the entire time... which i truly believe was because i followed your [Table to Race nutrition] plan religiously. that was by far the longest race i've ever done and the best i've ever felt in any race. i'm really happy with my time... once i learn to get my wetsuit off faster and remember to put sunscreen on BEFORE the swim, i'll be even faster. i'm really truly happy. thank you so, so much! I am so thrilled for them!! Congratulations and so happy you felt great!! "I have known Joanna for going on 6 yrs. now and when it comes to nutrition, knowing what to feed your body for specific results like a marathon, or general healthy lifestyle she is as good as it gets. I have also followed her athletic career and I am constantly amazed at her diversity in her accomplishments. Joanna...you helped me change my approach to nutrition and it worked perfectly. "Joanna is awesome. She helped me out so much with a hydration and electrolyte plan after we did a preliminary sweat test. I thought it was gels flipping my stomach.....I was wrong. I can only imagine how this [Levelen sweat] test could help further. Thanks Joanna!" I know my mom already called you with my good news, but I just wanted to tell you again how happy I am. You have helped me so much already, I've been trying to lose weight for a long time and it's just an amazing feeling that it's finally coming off. The way you have presented the information has been great and I haven't even felt like it's been that difficult. I know these changes I've been making are so much better then any diet I could try- this lifestyle change has been amazing. I'm even going to a party tonight and have little interest in drinking. Only going to have a glass of wine- which is a big change for me. I remembered your advice…and it worked! "I totally DIED on the bike. I even got lock jaw. I was totally dehydrated. But I remembered your advice....did it, and it worked! I was able to recover and run the marathon! I cannot thank you enough for your help!" " I enjoyed working with Joanna reviewing and updating my nutritional intake and current dietary and fitness needs. The support of a seasoned nutritionist and athlete really helped advance my ... journey toward optimal physical health and well-being." Running is going great. Your advice has made a huge difference! Those electrolytes really work, as well as hydrating properly, there is no doubt my body likes to sweat as it seems I sweat as much in winter as summer. I am ... seeing the benefits of nutrition while exercising. ... Love trail running, hope to see you on the trail. Its nice not having stomach issues while running. From a client last week after our initial session. "For almost 8 days I have cut all artificial sweeteners on the advice of Joanna Chodorowska. The horrible gas and the absolute horrifying eczema that has plagued me for the past two years is GONE!!!!!!! Joanna and I spent little time together but in the short time we spent together she inspired me to pursue a healthier lifestyle. She is subtle, intelligent, and mindful in her approach. We first started with a vitamin review (Nutrition Response Testing) and I started implementing her advice on turmeric root, which has significantly decreased my nerve pain therefore I have been more active. I have struggled with neuropathy for over ten years and get little to no relief with many things. I implemented cleaner eating just a few years ago but continue to learn from Joanna's tutorials and suggestions. My health is a bit complicated but I do know every step we take toward better health can only help us. I can tell you I have already cut several bad habits from my diet including soda and other forms of sugar, and as a result feel much better and am able to function day to day with a new perspective. All thanks, to the 2/3 days I spent with Joanna. "Thank you for being part of my fabulous team to get me prepared for my marathon. I so appreciate your advice, not just on nutrition, but the head-space and exercises leading up to it, too. "Joanna is such an expert in her field. Her sports nutrition and coaching for athletes is unmatchable. If you are prepping for game/race day, be sure to include her nutrition plans as part of your training regimen. If you're not training for a marathon, don't let that keep you from using her. She has an awesome program for those who are just getting started in making changes in their eating lifestyle. She makes it easy to follow, fun and as painless as possible to get on the road to a healthier you. She knows that nutrition is not one size fits all so the plans she develops with you, reflect not only proper nutrition, but foods you enjoy. She offers cooking classes too! For those that have excellent self discipline and are looking for a challenge to jump start themselves....do the detox plan." In 2012 I was new in the world of triathlons and had completed an Ironman. While it was a great experience, I had major cramping and had poor nutrition throughout the race. I also found myself cramping up in marathons and with a goal of a sub 3 marathon, I knew I couldn't achieved that if race day nutrition wasn't fixed. I found Joanna through various friends that had used her and recommended her services. We had phone sessions because live quite a distance from her office, but it worked out great. She made sure to individualize my nutrition plan to fit my exact needs. I completed another Ironman earlier this month and PR'd by over an hour and placed 3rd in my AG and 8th OA female not including pros. My marathon is at a 3:05 but hope to get sub 3 very soon and am confident that with my new race day nutrition, I will! "I have worked with Joanna since her beginning...since she realized her true gift and passion. What a joy its been watching her evolving into probably one of the most trusted folks in the nutrition industry for Philly....and surrounding burbs. She is truly a die hard....she walks the walk..talks the talk....big time. I cant say enough how much we enjoy listening to her approach, she leaves no stone un-turned to help someone. PhillyFIT Magazine proudly invites Joanna to all of our events, so our readership and attendees can learn from her. We are proud of our relationship with Joanna and hope she touches more lives than she ever imagined!